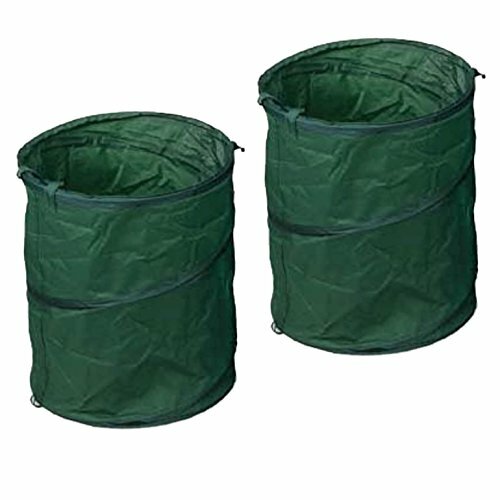 These pop-up lawn and garden trash bags are must for fall and spring cleanup. Wide and low so they're easier to fill with rake-fulls of leaves, grass and twigs. Bag collapses to height of a little over an inch with tabs to secure. Just release the tabs and memory-spring steel frame automatically opens to full size. Zipper lid helps keep contents in place until dumped, large nylon-web handles for easy carry. Also great as temporary trash cans for picnics, barbecues, family parties, sports and music events. View More In Yard Waste Bags. If you have any questions about this product by WPI, contact us by completing and submitting the form below. If you are looking for a specif part number, please include it with your message. PlasticMill 12-16 Gallon, Clear, 1 Mil, 24x31, 500 Bags/Case, Garbage Bags/Trash Can Liners.